This post has taken me a couple of months to write. 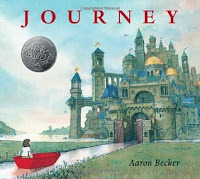 As it turns out, I am very particular about wordless picture books--a lot more so than I had realized going in! Maybe it's just that I expect more out of them. If a book has great pictures and mediocre words, or vice versa, I can usually look past its shortcomings and focus on the better part. With wordless picture books, if I don't like the pictures, that's the whole book. Also, for the books that are mostly black-and-white with just a splash of color here and there, I want that color to mean something or be connected with the story in some way! Random splashes of color were just frustrating, because I was searching for connections where there were none. 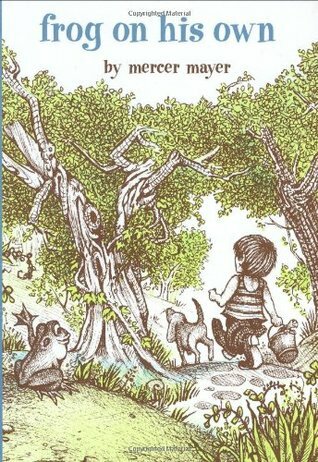 Bonus points for the books that not only managed to tell a story without words, but managed to convey mystery, wonder, or humor as well. I tended to be pretty polarized in my views--there were several that I didn't care for at all and some that I wanted to buy I liked them so well. A few in the middle, but not many. I have to start with Mercer Mayer. 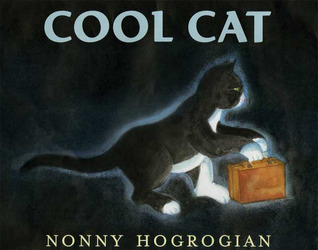 He basically created the wordless picture book genre around 25 years ago. He was a master at it! There's a reason these are classics! 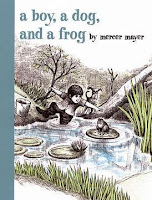 The story tells itself in expressions, the pictures move you from page to page (I especially liked how the frog followed the footprints), and the ending is just so delightful. What was even better was seeing my 4-year-old pick them up to "read" to himself, while big brother and sister were reading nearby. Frog hops out of the boy's bucket for an adventure of his own. Humor and sticky situations on every page! Another winner! There are 4 others in this Frog and Boy series. The whole series is on my list to purchase. So now for the rest of the list. It is pretty short. Cat lives in a place that is dead and brown and full of trash. So he gets out his paint set and transforms it into a living, growing place. I really liked how Cat's small changes attracted little animals, who then helped paint and make further changes. Also, that it became a beautiful garden in the end, because...you know--gardens = happiness. 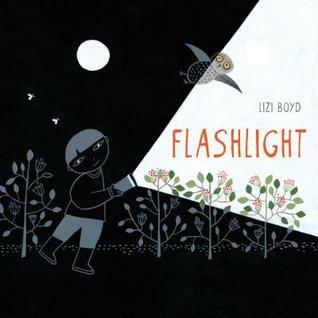 Two kids are in a tent at night, but then decide to explore outside with their flashlights. The use of light and darkness in this one is inspired. You get to see what the boys see in their flashlight beams, but there are also other things in the dark that are faintly visible. Strategic use of cutouts here and there add to the intrigue. Then there's a great little twist at the end. Such a neat exploration of light and darkness. Great fun! A boy brings his microscope and a few other tools to the beach to study whatever comes in on the tide. Then he finds a camera that holds some amazing secrets. This book put the biggest smile on my face! 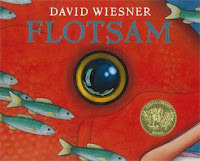 Wiesner takes an intriguing idea, then puts a whimsical spin on it that is simply terrific! This was one I couldn't wait to share with my kids! 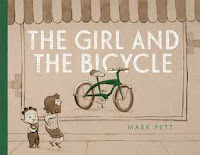 A girl longs for a bicycle in the store window and is determined to get it! She does lots of chores to earn the money--if only the bike is still there when she finally has enough! A simple story that's easy to follow, with a very sweet little ending. This is what I'm talking about! Reminiscent of Harold and the Purple Crayon (a little boy with a purple crayon makes a couple of cameos in the book.) 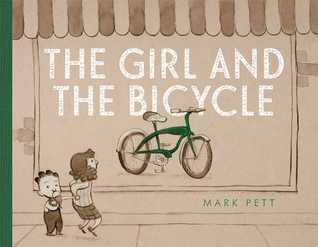 A little girl draws herself into an adventure, through mysterious landscapes and vistas, until finally returning back home. Illustrations that you want to walk into. We all (me and all 3 kids) pored over this one together, pointing out details that others might have missed. Convey sense of wonder? Check. I just discovered this is actually a trilogy! That is awesome. The other two books are Quest, and Return. An [almost] wordless retelling of the fable. Each page has sounds written out--roars, squeaks, etc., but no words other than that. 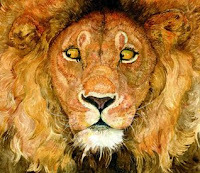 Detailed, rich illustrations. I didn't even miss the words with this one! Deserving of the Caldecott medal that it won. 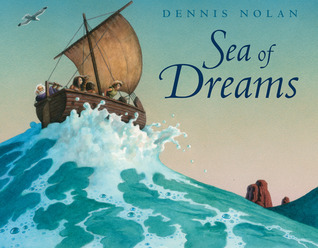 Like many of these books, this one is about an imaginary voyage. I liked how this one connected the little girl's creations with someone else's life and voyage to a new land. Beautiful illustrations. You should know that there are a couple of pages with some young mermaids who have only thin strips of seaweed and covering their chests. I thought it was okay--the mermaids were not developed at all, and it seemed innocent enough--but you may preview it yourself before you hand it to your kids. 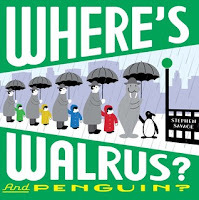 Walrus and Penguin escape from the zoo and manage to hide from the zookeeper on each page, until an unlucky missed catch at the baseball game lands Walrus in the hospital. This is actually the sequel to Where's Walrus?, but this was checked in and the other was out. So there you go. I would imagine it's pretty similar to the first, though. My kids had fun with this, though I don't know that it would stand up to a lot of repeated readings. What am I missing? Do you love this type of picture book, or are you on the fence like me? What are some of your favorites? I'm ready for any and all suggestions, so I don't have to keep going through the library's collection one at a time! The only one I've read of the list you have here is Journey, which we really liked and I'm happy to know there are others in the series. I'll have to check my new library for those. We tend to really enjoy wordless books. As for the ones we like, I'm a little afraid to say because you've probably read all of them and they've ended up on your why-did-I-bother list! But here they are: Goodnight, Gorilla (okay, not totally wordless. "Goodnight" is spoken several times, but that's it. Essentially wordless) Wave by Suzy Lee. The Flora books (Flora and the Flamingo...and the Penguin...and the Peacock. They have these at the library there, but you have to ask Kathleen for them as she keeps them in her office.) You Can't Take a Balloon Into the National Gallery...into the Metropolitan Museum...Museum of Fine Arts. Oh yeah! I forgot about Goodnight, Gorilla. That's one of our favorites! The rest you mentioned I haven't heard of--thanks for recommendations! I'll have to track them down.